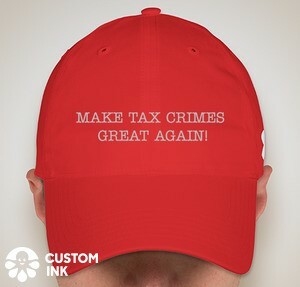 I picked up an offering, with a good reminder for Tax Crimes enthusiasts, from Procedurally Taxing Blog's regular reporting of Tax Court designated orders. Samantha Galvin (Guest Blogger), The Tax Court’s Tenacious Stance on 280E: Designated Orders 12/17/2018 – 12/21/2018 (Procedurally Taxing Blog 1/17/19), here. Another Tax Court case document of potential importance is designated simply “Order.” A court may resolve disputed issues by some type of order – either oral (such as bench opinions or written – in any number of ways short of what is formally designated as an opinion. The “Orders” are available on the Tax Court’s web site in a searchable database, with a subset of orders published daily as “Designated Orders.” The designation status is determined by the judge issuing the order, presumably because the judge feels that there is something in the order that should be called to the attention of practitioners. Although the Tax Court Rules say that Orders, including Designated Orders, are not precedential, sometimes, the Designated Orders offer practitioners insight into particular Judge’s thinking on substantive and procedural issues. In a win for petitioner and lesson for respondent, the Court highlights the difference between a section 6663 penalty and a section 6651(f) penalty in this designated order. This case was already tried in October of 2018 and the parties are in the process of preparing post-trial briefs. The Court addresses IRS’s motion to leave to amend its answer to conform to proof. Petitioner objects. Petitioner is a reverend who did not timely file for several years beginning in 2006, but eventually filed all years in 2014 and 2015. The IRS issued a notice of deficiency which included a 75% fraud penalty for each tax year under section 6663. Petitioner petitioned the Court, and respondent answered detailing the allegations of fraud and praying that the 6663 penalties be approved. Neither the deficiency notice nor respondent’s answer referenced the section 6651(f), the “fraudulent failure to file” penalty, but now the IRS wants to amend its answer to include the section 6651(f) penalty – after the trial has taken place and the case has been submitted. Petitioner argues that different timeframes govern the analysis of whether the penalties should apply and respondent tries to minimize this argument, but the Court sides with petitioner. The Court implies that respondent may not understand the difference between a 6663 and 6651(f) penalty and cites its analysis Mohamed v. Commissioner, T.C. Memo. 2013-255, on this issue. Section 6663 authorizes a penalty for filing a fraudulent return, and section 6651(f) authorizes a penalty for fraudulently failing to file a return. Section 6663 can only be imposed if a return is filed, and on that return the taxpayer fraudulently misrepresents the amount of tax due. Under section 6663 the fraud occurs when a return is actually filed, not when it is due. Section 6651(f) is imposed when a taxpayer deliberately fails to file a return to conceal the existence of income in order to evade tax. Under Section 6651(f) the fraud occurs when a return is due, not when it is actually filed. The taxpayer’s intent at the appropriate times (date return was due and date of actual filing) is critical to determining if each penalty should be imposed. Because the trial has concluded and the IRS failed to include a section 6651(f) penalty, the reverend never had the opportunity to present facts about his intent at the time the returns were due, which is when the 6651(f) fraud would have occurred, so the Court denies respondent’s motion. JAT Comment: Note that the civil fraud determination is important not only for these penalties but for the unlimited statute of limitations under § 6501(c)(1). Of course, if no return has been filed, there is an unlimited statute of limitations under § 6501(c)(3).